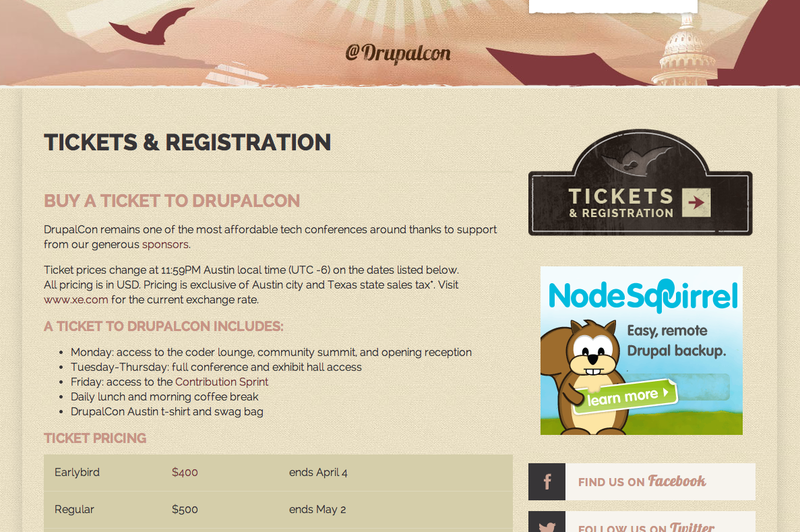 Upload your awesome web ad to be displayed here on the DrupalCon Austin site. Make sure your ad is received before April 4 so your ad goes live when the schedule is announced, which maximizes the number of Drupalista impressions! Due to the amount of time involved in updating these images, web ads will only be updated on a bi-weekly basis after this date. Alternately, if we do not receive your ad, we will use your logo.